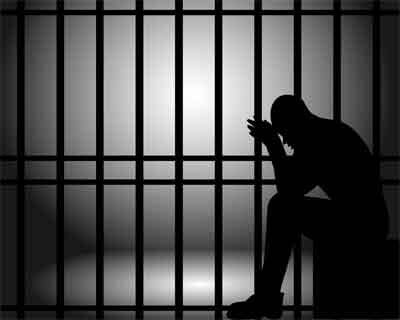 Thane: A 42-year-old doctor attached to a hospital in Thane who was found guilty of molesting a patient in the ICU has been convicted and jailed by court. In a recent order, Additional Chief Judicial Magistrate R J Pawar convicted the doctor, a resident of Mulund under section 354 of the IPC and sentenced him to one year rigorous imprisonment. The convict was also slapped with a fine of Rs 3,000. The accused will also undergo additional three months rigorous imprisonment, which will run concurrently, the court ordered. Prosecutor Jaishree Korde appearing for the prosecution told the court that the victim is a housewife suffering from acute asthma and as her condition deteriorated on May 18, 2013 she was admitted for treatment to the ICU of the hospital where the accused was on duty. In the ICU there were other patients too whose beds were separated by curtains. It was around 3 am that under the pretext of checking the pulse rate and blood pressure the accused came to the bed of the victim and molested her. When the victim resisted he kissed her hand and left, the court was told. However, the accused came to the bed once again after one hour and repeated the act, the prosecutor said. The victim complained to her husband and children and also urged the hospital management to take action. However, when nothing was done, the woman on getting discharged from the hospital on May 21 lodged a FIR with Naupada police who arrested the accused, the court was told. “In the present case the accused is facing trial for the offence Punishable under section 354 of the Indian Penal Code, 1860. Therefore, considering the nature of the offence, I find that the benefits of the Section 3 and 4 of the Probation of Offenders Act 1958 cannot be given to the accused and he deserves punishment for the act he did. The act which the accused had done has to be dealt with stringently, the court held and awarded him jail.